Larry Mehr was born on December 30, 1930, in Jeffersonville, Indiana. He was commissioned a 2d Lt in the U.S. Air Force through the Air Force ROTC program at the University of Louisville in Louisville, Kentucky, on May 23, 1952, and went on active duty beginning July 22, 1952. Lt Mehr was trained as a Supply Officer at F.E. Warren AFB, Wyoming, from July to December 1952, and then served as a supply officer with the 67th Fighter-Bomber Squadron in Korea from January 1953 to January 1954. His next assignment was as a supply officer at Amarillo AFB, Texas, from January to June 1954, followed by pilot training from June 1954 until he was awarded his pilot wings at Webb AFB, Texas, in June 1955. After attending Intercept Controller training at Tyndall AFB, Florida, Lt Mehr served as an intercept controller and supply officer with the 603rd Aircraft Control and Warning Squadron at Hof, West Germany, from October 1955 to December 1957, followed by F-86 Combat Crew Training at Williams AFB, Arizona, and Basic Instructor Pilot Training at Craig AFB, Alabama. His next assignment was as an instructor pilot with the 3617th Pilot Training Squadron at Craig AFB from October 1958 to June 1962, and he then received an Air Force Institute of Technology assignment to complete his master's degree at George Washington University from June 1962 to July 1963. Maj Mehr served as an analysis officer with Headquarters Tactical Air Command at Langley AFB, Virginia, from July 1963 to August 1965, followed by Naval War College at Newport, Rhode Island, from August 1965 to June 1966. After completing A-1 Skyraider Combat Crew Training, he deployed to Southeast Asia in November 1966 where he served as an A-1 pilot with the 602nd Fighter Squadron at Nha Trang AB, South Vietnam, and then at Udorn Royal Thai AFB, Thailand, from December 1966 to August 1967. 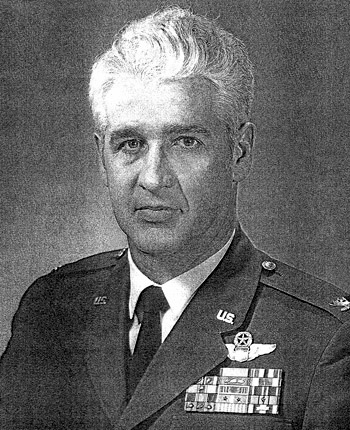 Col Mehr's next assignment was as Air Force Representative to the U.S. Army Field Artillery School at Fort Sill, Oklahoma, from September 1967 to July 1969, followed by service as a Study Director in the Directorate of General Purpose and Airlift Studies and as Chief of the Office for External Affairs with Headquarters U.S. Air Force in the Pentagon from August 1969 to March 1972. His final assignment was as Military Assistant to the Assistant Secretary and Deputy Secretary of Defense at the Pentagon from March 1972 until his retirement from the Air Force on August 1, 1972. Larry Mehr died on June 5, 2005, and was buried at Arlington National Cemetery. 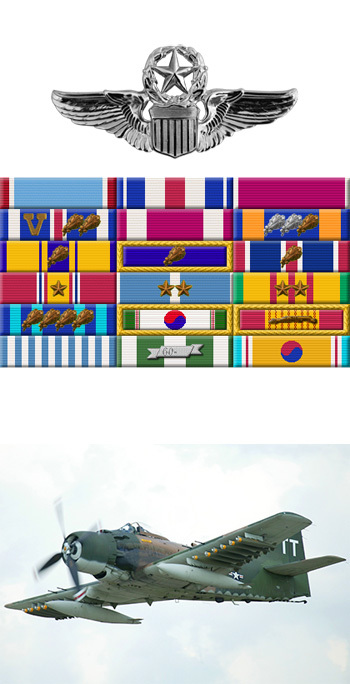 Major Richard L. Mehr distinguished himself by extraordinary heroism in connection with military operations against an opposing armed force in Southeast Asia as an A-1E pilot on 2 and 3 July 1967. On the 2nd of July, Major Mehr flew through intense hostile fire to provide cover for an F-105 pilot downed in a heavily defended area of North Vietnam. With the onset of darkness and diminishing fuel, Major Mehr returned to base for minimum rest. He volunteered to continue rescue operations that were set up for the next day and took off at first light. Amidst MIG fighters, deadly missiles, antiaircraft fire, and hostile small arms fire, he located the downed pilot. Braving this deadly arsenal that damaged his aircraft, he continued to direct air strikes against the hostile positions and thereby protected the downed pilot and permitted a helicopter to rescue the pilot from the area. Through his extraordinary heroism, superb airmanship, and aggressiveness in the face of hostile forces, Major Mehr reflected the highest credit upon himself and the United States Air Force.